Jack and Rose falls in love with each other, which causes a lot of problems due to the fact that Rose has already promised to marry someone else. Jack and Rose come from different parts of society and this also causes them a lot of problems. What happens next is that Titanic hits and iceberg, which in the end, causes the ship to sink. Titanic is a lot about love and happiness, but we also see the darker side of these. We see anger, desperations and other dark emotions. The desperation is mostly clear between Jack and Rose, due to the fact the she is already engaged when they meet and fall in love with each other. 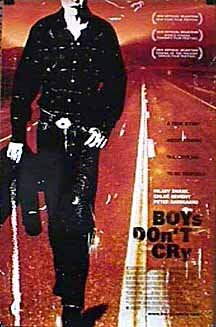 “Boys don’t cry” (1999) is about a based on the true story of the life of Brandon Teena. The movie tells us the story about a woman, who chooses to live her life as a man. Throughout her life, she suffers from her choice because of the consequences of her actions. Brandon moves away from Nebraska and into a new community. In her new town, the other people are not seeing person of transgender as human beings. Through the movie, Brandon ends up with a reputation of being a ladies’ man. Later in the story, Brandon ends up in prison. In prison, he develops to be a very, angry young man whose anger turns into actions after some time. “Boys don’t cry” is a movie which is full of emotions. Through the movie, we get to feel all of the emotions that Brandon feels. We can feel the anger, pain and suffering he is going through. The whole community around his new neighborhood shows what conditions some of us have to live with. It is not easy to be different from the “normal” and in this movie; we get to see the life of a human in another perspective than we are used to. All these emotions in this film reminds, at least some of us, that we should be glad about what we have, because there will always be a lot of people, who has it a lot worse than we do. At this point, we have now made it to the highest ranked on this list. The number one on this list is the movie “The Perfect Storm” (2000) directed by Wolfgang Petersen and Allen Payne. The movie is in many ways a lot like the other movies, but it has its differences, which is why it has made it to number one. The Perfect Storm is about a group of fishermen from Gloucester, who leaves everything behind and is chasing their road to happiness and wealth and the ocean. In October 1991, the ship “Andrea Gail”, with fishermen, sets sail. After some time, they get their weather report which tells them that there is a storm coming their way, which can cause a perfect storm. Due to the fact that the Hurricane “Grace” is behind them, they decide to continue with their fishing. At the ocean, the fishermen faces a lot of problems like weather, they relationship which each other and other disasters. When everything is good and there are catching a lot of fish, their ice machine breaks down and they needs to make a big decision. They can now choose between letting the fish root or try to make it through the hurricane. The desperate fishermen decide to make their way through the huge hurricane. Soon, they find themselves in the middle of the biggest storm in ages. The Perfect Storm is definitely a sad movie. As in the previous movies, we get to feel a lot of emotions. In this movie, I felt mostly sadness and desperation towards the fishermen. The ending of the movie was priceless in my opinion and that is one of the places where “The Perfect Storm” is different from the other movie that I has mentioned. Philadelphia (1993) is an American movie. With Tom Hanks and Denzel Washington as the stars of the movie, Philadelphia is about a young man who suffers from AIDS and the need to hide the real him. Andrew Beckett is homosexual and is working in one of the largest companies in Philadelphia. He is not open about his homosexuality, or the fact that he has got AIDS, on his work and do to the fact that he has got no one to turn to, this costs him a lot of pain and suffering. One day, he is assigned to one of the company’s most important cases. During the case, a worker notices something odd on Andrew. Embarrassed, he stays home to cover the lesion on his forehead. At home, he tries to finish the case and then deliver it to the office, but it gets worse and he is rushed to the hospital to make sure that he is not dying. Andrew’s life gets a lot worse and he even gets fired from his job. Andrew prosecutes his previous contractor and the case goes to court. As the case goes to court, Andrew faces some new problem; his previous contractor tells the court, that Andrew has been hiding his condition for them and therefore, it was okay to them to fire him. During the testimony, Andrew collapses. His lawyer and family visit him there. After the family has gone, Andrew tells that he is ready to die. At the end of the movie, we see Andrew’s funeral where there is a lot of mourners. As seen in the movie, Philadelphia is about trying to overcome your problems to stay above water. In this movie, it is one man against all the others and we get to see how sickness can break you down in so many ways. Philadelphia is a frustrating movie in many ways, because it is even hard, as a viewer, to imagine all the problems that Andrew was going through and it is even harder to put ourselves in his place. “We were soldier” (2002) is directed by Randall Wallace. The movie is about the major battle of the Vietnam War and we see it through the eyes of the American units in Vietnam. The film itself is based on the book “We were soldiers once… and young” by Hal Moore, who participated in the war himself. The United States has entered the Vietnamese war. At this point, Hal Moore is a dedicated and committed young man and he is training the troops that are under his command. After arriving in Vietnamese area, Hal finds out that an American base has been attacked and several of their soldiers have been killed. After this information, he needs to move his men and eliminate their enemy. At the time of their moving, Hal has not got any idea of the number of the Vietnamese troopers in the area at this point. Later in the film, the group of soldiers is lured into an ambush by a Vietnamese. With no options left, Hal decides to call on his radio and tell the other Americans that they have been lured into an ambush and cannot defend themselves. They will now stay alive much longer so he orders all the available aircraft to attack their Vietnamese enemy to kill or chase them away from Hal and his soldiers. The aircraft bombs and uses machine guns at the enemy. After the attacking, the Vietnamese troopers repel and the surviving Americans are rescued. In the end, the Vietnamese plans a big counter attack and you must see the movie yourself to see the outcome. This movie has made it to this list, because it shows us the horrific actions of war. Throughout the movie, we can almost feel the pain that the soldiers feel during the movie and we see what war really is about. We can feel the love that the soldiers feel for their country while they are willing to sacrifice their lives to make a difference in Vietnam. The movie proves that you may need to sacrifice something important to you, if you want to make a difference for the next generations. 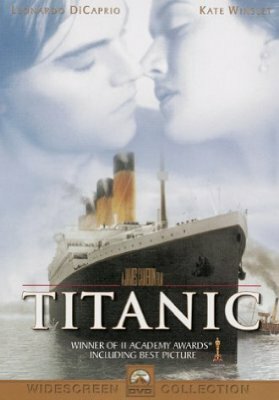 titanic is the best film ever, i watched it many times and try not to cry but end up crying ! .. For me reality is the saddest movie i have ever experienced...!! No way!! Simon birch is saddest EVER full box tissue. I DARE YOU TO GET THROUGH IT UNDISTRACTED IN UNDER 1/2 a box o tissue, but I'm betting more. We were soldiers has sad moments and such for SURE BIGTIME But I see it as triumphant. Men of valor exist and the brotherhood of battle is a bond as no other. Not sad! About the astounding courage and honor and sacrifice of self AMERICANS- humans are made of.